said Malcolm Smart, Amnesty International. In 1986, Mordechai Vanunu took a courageous moral stand against nuclear weapons. Vanunu exposed Israel’s secret nuclear weapons arsenal to the world after becoming disillusioned with his work as a technician at Dimona Nuclear Research Centre in Israel. The information revealed Israel had hundreds of advanced nuclear warheads (the sixth largest stockpile in the world). Under a policy of nuclear ambiguity, Israel still denies it has nuclear weapons. His brave actions led to him being kidnapped by Israeli Mossad agents in Italy and transported back to Israel where he was charged with espionage and treason and convicted in a secret trial. Vanunu’s abduction was a violation of Italian and International Law. Vanunu was released from prison in 2004, but Israeli authorities imposed a strict military supervision order on him, which is renewed every six months. Under this order Vanunu is banned from meeting journalists, supporters and foreigners, can’t use phones or the Internet, go near foreign embassies, ports or airports or move address without informing the police. Vanunu is also subject to continuous police surveillance, his internal movements are confined to Jerusalem and he is forbidden to leave Israel. These Israeli restrictions deny Vanunu’s rights to freedom of expression, movement and association. Amnesty International said that as Vanunu has served his full sentence, these limitations are a breach of international law. He has been rearrested and jailed several times since 2004 for breaching these regulations. In early August, Vanunu was released from prison after being held in solitary confinement for a further three months in central Israel. He has been sentenced to serve more time in prison for unauthorised meetings with foreign nationals, including his Norwegian girlfriend and journalists and for travelling from Jerusalem to Bethlehem to attend Christmas Eve mass. He was held under harsh and inhumane conditions, in the worst section of Ayalon prison where he was only allowed out for one hour each day to walk in the prison courtyard. Scientists say that Israeli claims that Vanunu has more secret details to reveal are ridiculous, after 24 years this is merely a pretext for continuing to punish him. In December 2009, Uzi Eilam, the former head of Israel’s Atomic Energy Commission told PRESSTV that Vanunu “should be let go. I don’t think he has significant knowledge to reveal (about Dimona) now.” While Vanunu has no more information to reveal about secret work at the Dimona reactor, he remains committed to disarmament and anti-nuclear campaigns. “The Israelis have 200 atomic weapons and they accuse the Palestinians and Muslims of terrorism… The Dimona has never been inspected and Israel has never signed the Nuclear Proliferation Treaty, but all the Arab states have… The world needs to wake up and see the real terrorism is the occupation and the Palestinians have lived under that terror regime for 40 years,” Vanunu said. 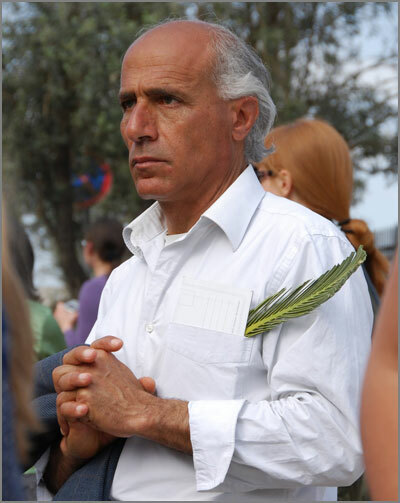 Vanunu followed his conscience and has since been imprisoned and persecuted by Israel. After being released from prison, his civil, political and human rights have been grossly abused. He has served his prison time and under international law he is entitled to his liberty. Many respected people, including Bishop Desmond Tutu, linguist and writer Noam Chomsky, peace activist Mairead Maguire, Yoko Ono and the late playwright Harold Pinter have supported his just struggle for real freedom. Just like Nelson Mandela and Aung San Suu Kyi, Vanunu is a political prisoner living in captivity and under constant risk of further detention in prison. He is entitled to a life free of Israel’s repressive rules. 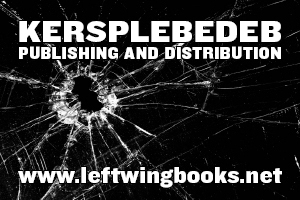 I urge everyone reading this and concerned about Vanunu’s plight to do whatever you can do to support Vanunu. Protest by calling for the Israeli authorities to treat him humanely and lift the unjust regulations imposed on him. Please write letters to the newspapers to publicise his case, pass motions at union, church, student and other organisations meetings, sign petitions and raise the issue of his case at public forums. Demand that Israel respect his basic human rights and give Vanunu genuine freedom, including the freedom to travel and to leave Israel. “Israel is not a democracy unless you are a Jew. The administration tells me I am not allowed to speak to foreigners, the media and the world. But I do because that is how I prove my true humanity to the world,” Mordechai Vanunu said.